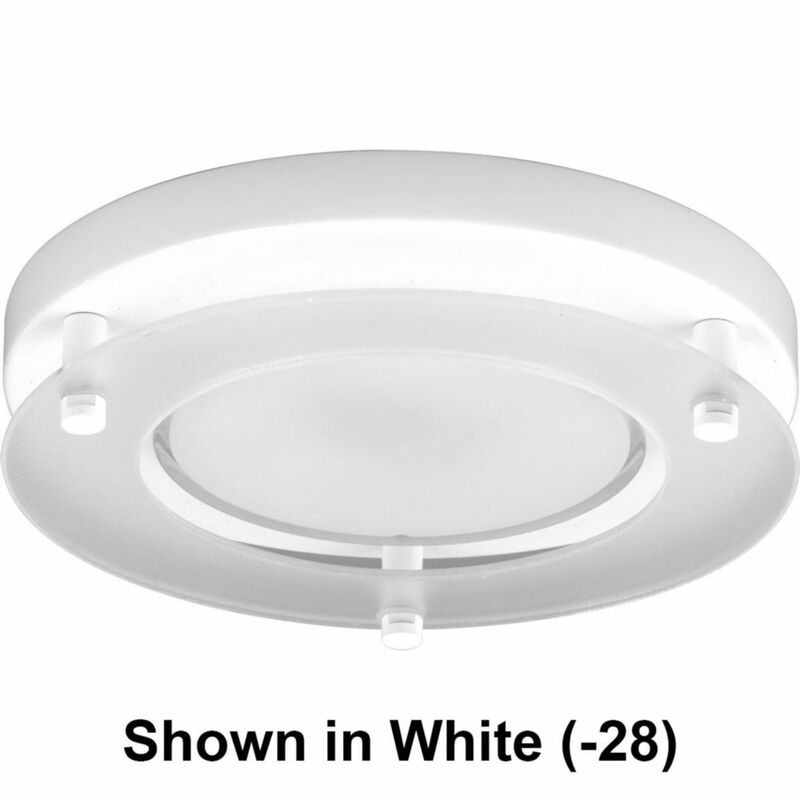 The all-in-one LED Surface Mount uses an intuitive snap-in system that allows easy flush mount installation to a junction box. 7" round with decorative glass ring. 3000K, 1050 lumens, 90+ CRI. Dimming with many ELV dimmers. Wet location listed. This Hampton Bay two-light black flushmount has a low profile and is ideal for the patio, basement or garage. The translucent glass panels help diffuse the light and are encased in a simple yet stylish black housing. It offers functionality and durability, is easy to install and is UL listed for safety. Classic old world styling and a durable cast aluminum housing, the Ashmore Collection features a seeded water glass diffuser to reduce glare and to minimize cleaning requirements. Mac features a traditional Craftsman profile, but in a simplified, more modern interpretation. Building upon the rich history of this tradition, Mac is ideal for today's homes featuring bungalow and lodge-style architecture. Textured, clear glass is framed within a cast aluminum housing with a durable powder coated finish. LED Flush Mount Collection 1-light Black LED Flushmount The all-in-one LED Surface Mount uses an intuitive snap-in system that allows easy flush mount installation to a junction box. 7" round with decorative glass ring. 3000K, 1050 lumens, 90+ CRI. Dimming with many ELV dimmers. Wet location listed. LED Flush Mount Collection 1-light Black LED Flushmount is rated 4.4 out of 5 by 22. Rated 5 out of 5 by Chumley from Looks great, nice and bright and was a great deal,... Looks great, nice and bright and was a great deal, install was easy. Rated 5 out of 5 by Art from Easy to use and very well made. Would buy... Easy to use and very well made. Would buy again. Rated 5 out of 5 by Omnitha from One of the best LED flushmount I have used so far. Easy to install and very bright and warm light. One of the best LED flushmount I have used so far. Easy to install and very bright and warm light.